One thing most crafters have in common is a love of new equipment. Especially if it is equipment that can make life easier for you. I enjoy turning a skein of yarn into a nice ball of yarn. But holding it over my knees is not that fun. My rug hooking friend told me about this table top swift that he found on eBay. So of course I had to check it out. The only swifts I had ever seen were ones that clamp onto something, which is sometimes not so convenient. I love this table top swift. It holds the yarn nicely, and when you are done, it folds up and doesn’t take up much room. And then… And then I decided to bring my spinning wheel back into the house… Oh my. There’s the Distraction. Spinning your own yarn is so fun, and so pleasurable. After I brought it in, nothing but spinning got done for almost two weeks. 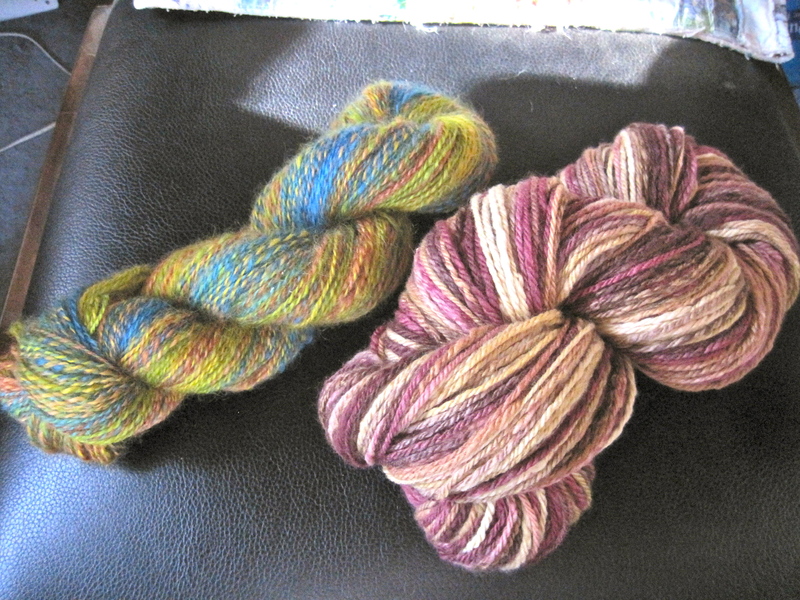 I found some variegated green roving that would work well for the redwood trees on my current rug, and I spun that up. To make a balanced yarn, you usually spin up two bobbins of thread and then ply them together, and voila! You have a beautiful skein of yarn. Here’s how I’m incorporating it into the rug. I like the way it looks. And then… then I found about 8 ounces of a fiber blend I made long ago. I used to make fiber blends and sell them at spinning and weaving events. I called this one Apple Blossoms. It is 40% angora (rabbit,) 30% silk, and 30% merino wool. Its oh so soft, and it brings back such good memories for me. 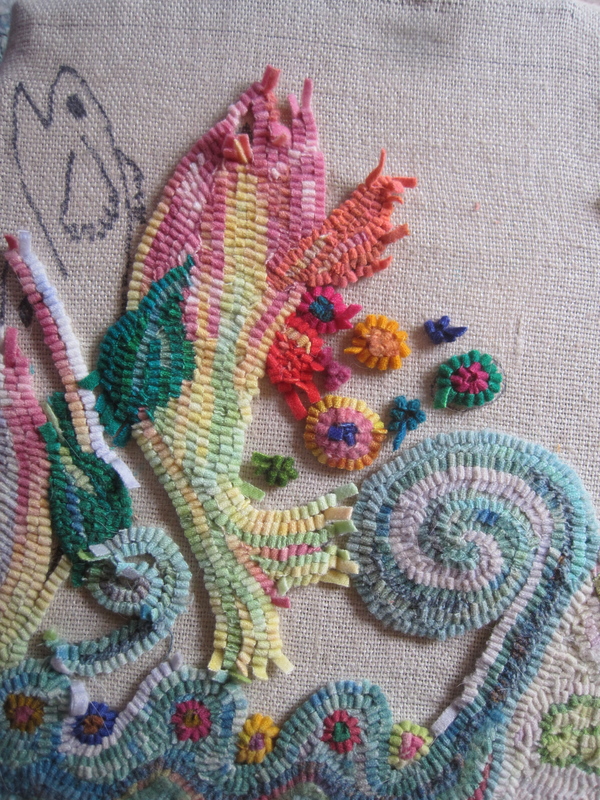 So now I’ve got the spinning bug out of me for a wee bit, and I am back to working on my rug. There’s only a few weeks before Cambria Pines Rug Camp, and I want to get more of it done before I go. Because at rug camp I will be starting an entirely new rug! I got the chance to visit a couple of really great shops on this last trip, and thought I would share those experiences here, just in case any of you might be in that area of Texas and looking for a fix! 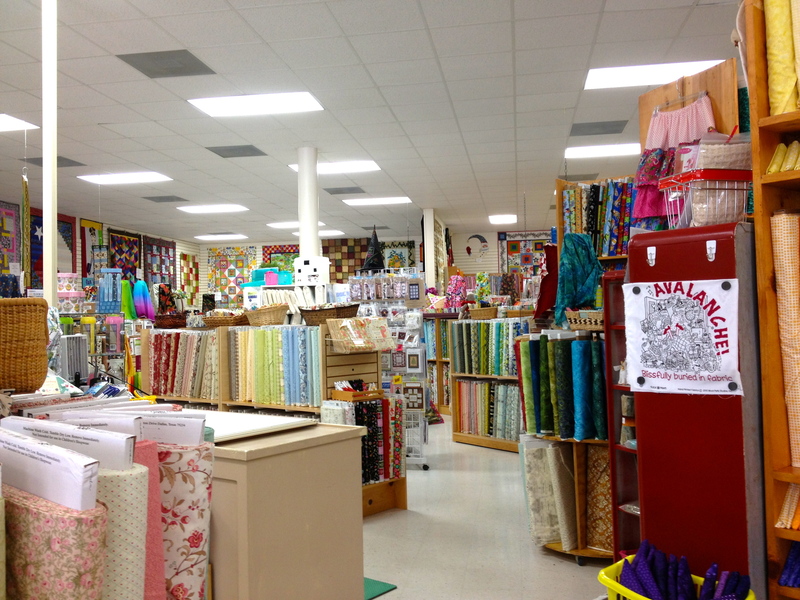 Lone Star Quiltworks is right in the town where my friend lives–College Station, TX. Their website says they have 5000 bolts of fabric, and I believe it. 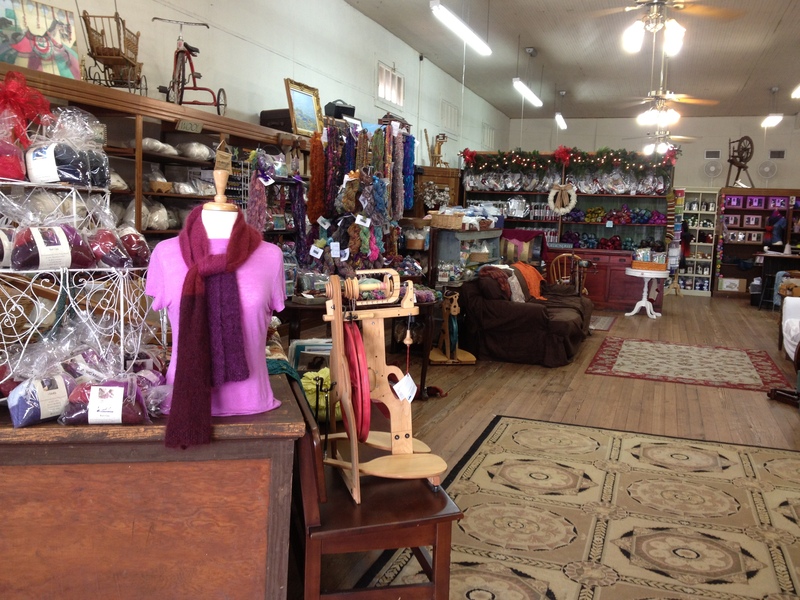 Best of all was the layout of the store. Open and airy, with really great lighting. You could see all the fabric easily. The sales ladies were helpful and friendly, but not overbearing. It made for a really nice shopping experience. 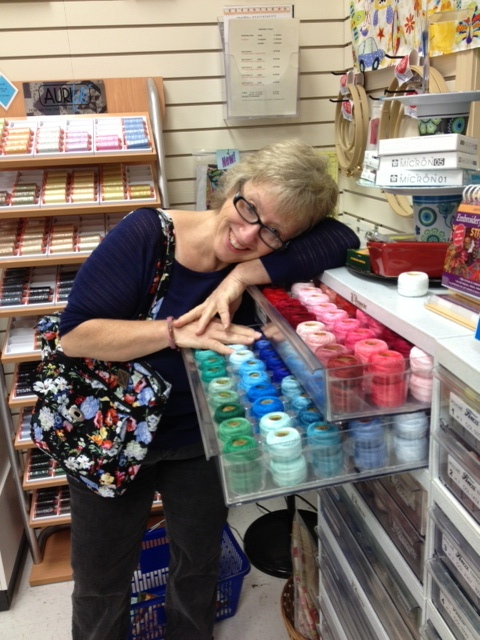 Best of all, they had a full cabinet of my favorite perle cotton thread–Finca. It comes in a huge variety of colors, and they even had a good selection of size 5 and size 3 perle cotton. I mostly work with size 8, but its nice to have some thicker threads once in a while. 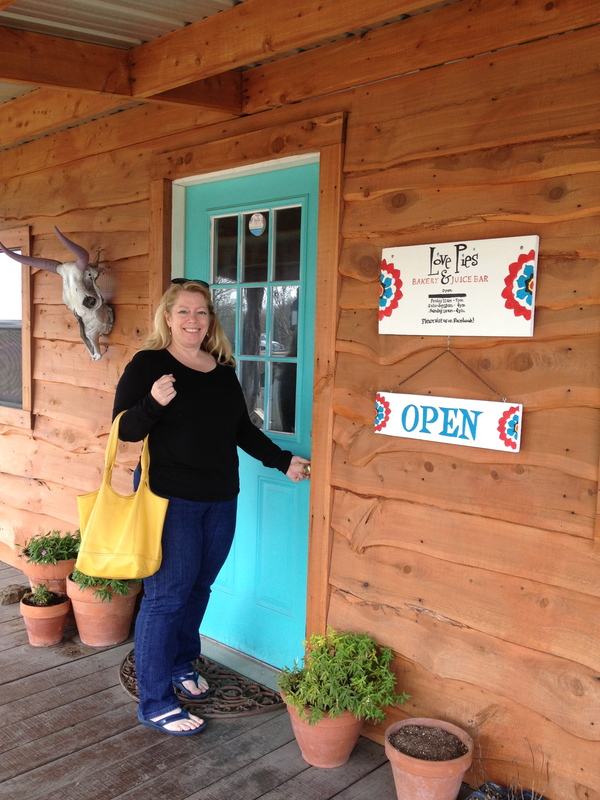 The next day my friend took me over to a neighboring town, Navasota. 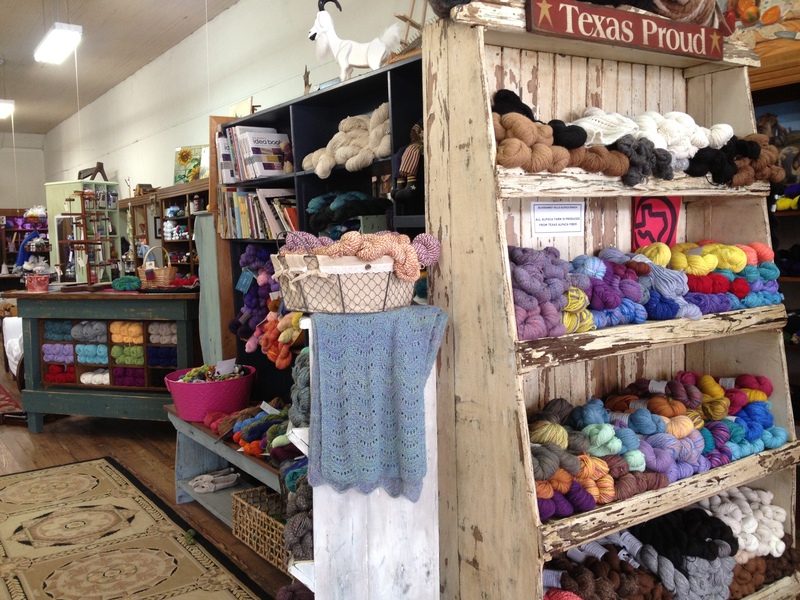 W.C. Mercantile is a wonderful knitting and spinning shop. The young proprietress had a wonderful color sense, and she specialized in making wonderful multi-color batts that could be used for spinning or felting. 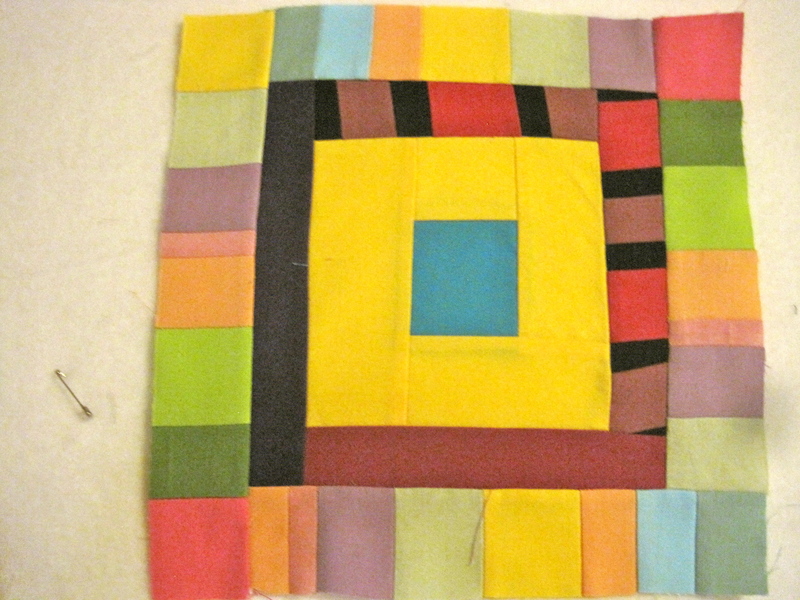 She had gone to the Houston quilt show with the batts, showing quilters how they could incorporate this special felt into their quilting. 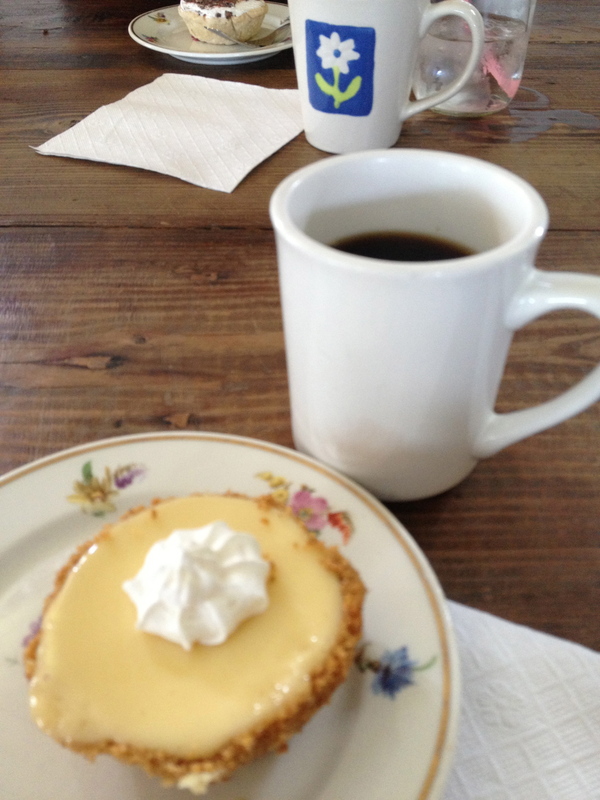 After we had our fill of shopping at MC Mercantile, we headed about 5 miles out of town to a truly wonderful sandwich and pie shop, Love Pies. Honestly, that was one of the most delicious sandwiches I’ve ever had, and followed up by one of their mini-pies, with a cup of really great coffee–what a wonderful experience. And now I’m home again, starting to get my studio into shape. I’ve sewed one whole seam since I’ve been home. Maybe tomorrow will be the day…. This week I’ve gone a different way. 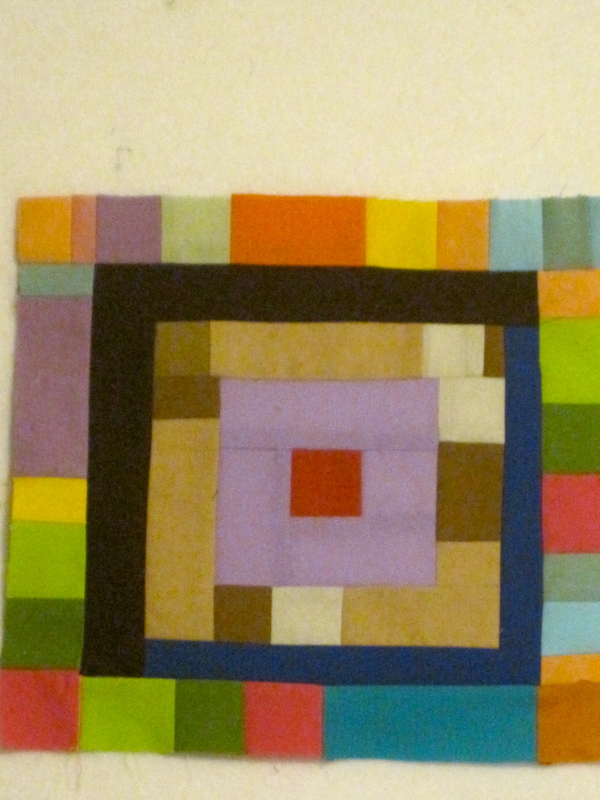 I’m still quilting and sewing a bit. 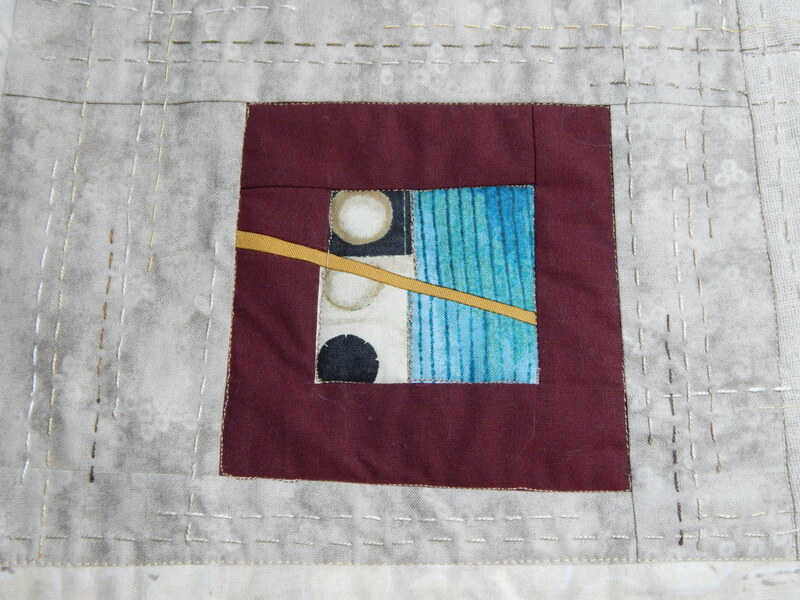 Like I said in the last post, embroidering the perle cotton to the cross quilt is slow work. Its a little boring, but its also very pleasant to do in the evening, when the only decision I have to make is what color of thread to use and how long to make the line of stitching. So I’ve been dipping back into a couple of my other fiber hobbies. I got a new electric spinning wheel that I LOVE. I can sit in my easy chair with my leg up, and spin and spin. It even has a mechanism on it called a “woolie winder” that winds the newly spun yarn evenly onto the bobbin. So I’ve been spinning up some of the fiber I bought at the Black Sheep Gathering back in June. 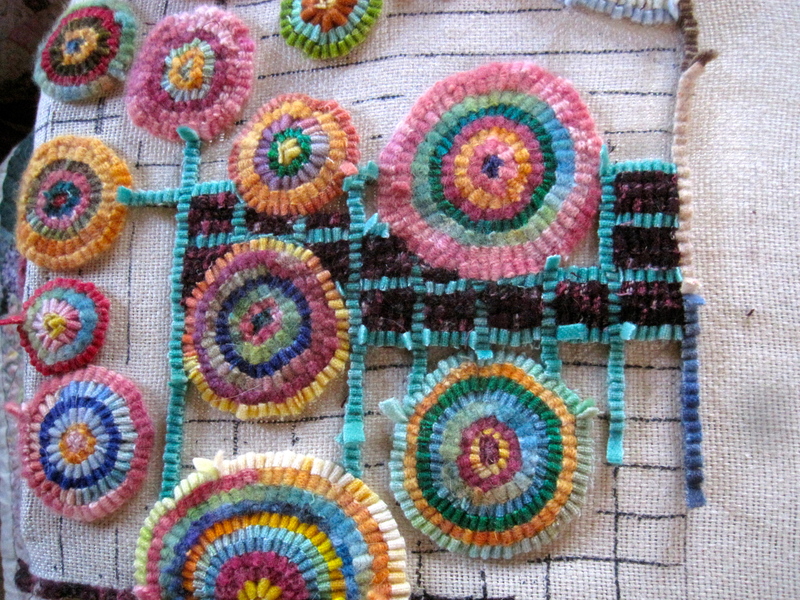 And then I really started back in on my rug hooking. This is probably due to the fact that the big rug hooking conference is coming up in September. I’d love to show off the rug that I started a year ago. I designed it around the verses in Psalm 96. ( Let the sea and everything in it shout his praise! Let the fields and their crops burst out with joy! Let the trees of the forest rustle with praise before the Lord, for he is coming!) I’ve finished another fish today. 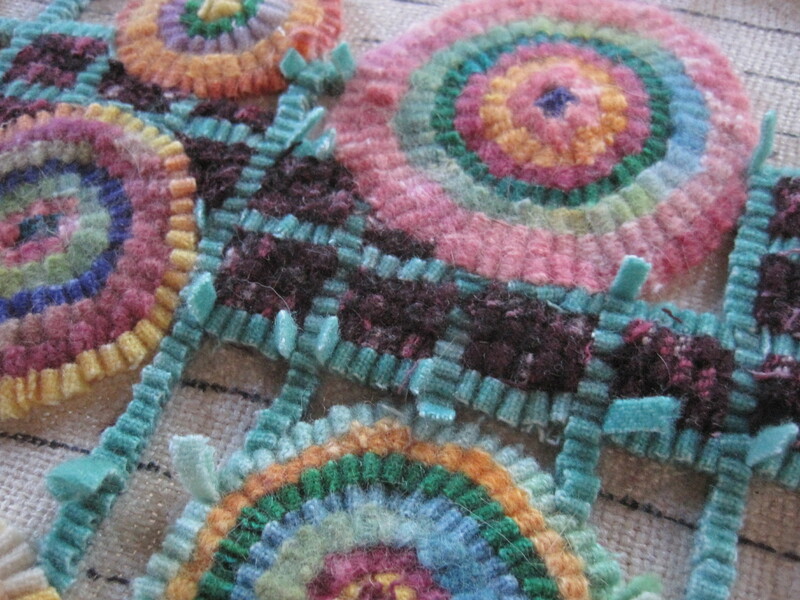 And I also decided to finish up a little doodle rug that I had started for fun. The theme of the conference is “Color My World.” And since I love color, and this doodle rug has colors that I love, I thought I would try to finish it for that particular category. I drew the idea of a grid for the background in my sketchbook. More easily drawn than hooked! But its coming along. And just so I don’t forget how to use the sewing machine, I’ve been playing around with this group of fabrics, making a variety of blocks. 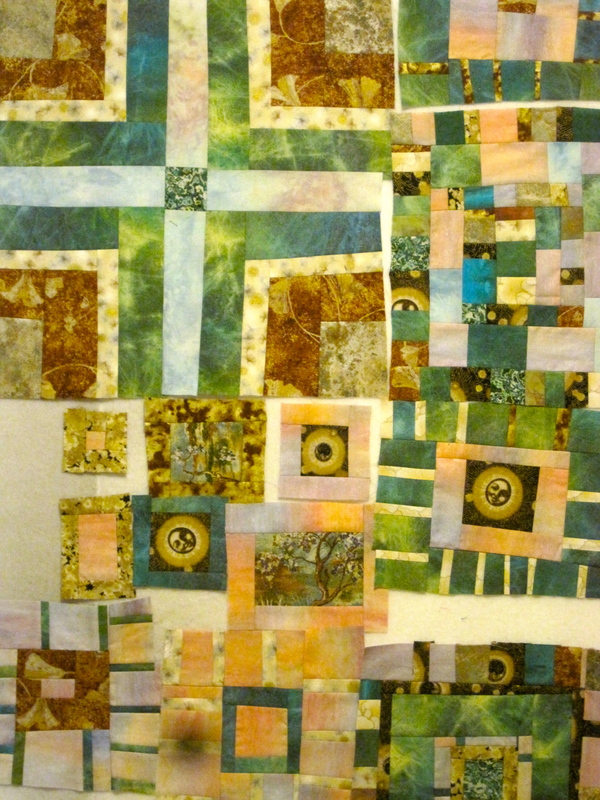 A couple days ago, I followed this blogger’s lead, and did some patchwork scrap doodling. It was fun, and I was pretty happy with the results. So that’s how its gone around here this week. A lot done, but it leaves me feeling like I haven’t accomplished much. Maybe its time to FINISH a project!